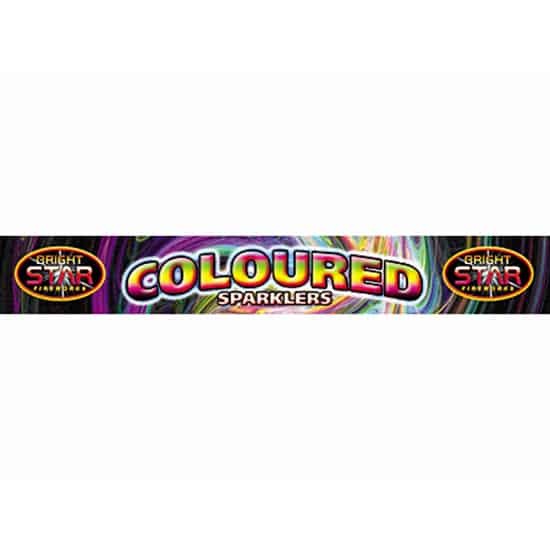 Coloured Sparklers 5 Sparklers In a pack Length: 10 Inch (25.5 cm) INSTRUCTIONS: To be lit singly, Handle in gloved hand at arms length. WARNINGS: For Outdoor Use only Use only under adult supervision. Keep away from Eyes and Skin Keep away from clothing etc. Spent sparklers remain very hot.